Scobies provide a professional laundered and hand pressed shirt service to the highest of standards. Scobies will ensure your work shirts are individually checked, buttons are intact and minor repairs attended to and at no extra cost to you. Customers may choose to have their shirts returned folded in tissue or presented on a hanger. 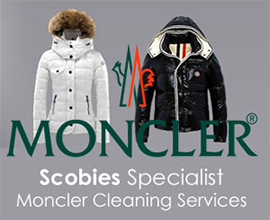 Scobies offer a specific Collection & Delivery service for customers from either home or place of work. If you are unable to find the time to take your shirts to either one of our branches, please call 020 8693 2754 or email us at scobiesvalet@btconnect.com and we will collect* your shirts for cleaning and return them in pristine condition.